Following a gluten-free diet that also works for diabetes is much harder than following just one of those two diets. But if you've been diagnosed with either celiac disease or non-celiac gluten sensitivity, plus either type 1 diabetes or type 2 diabetes, that's what you'll need to do. People with both a gluten-related condition and diabetes need to maintain control of their blood sugar and keep gluten out of their diets. If this sounds challenging, it is—especially because some of the foods you'll find that are safe on the gluten-free diet will not be healthy for you as a diabetic. You also may find that making a mistake on your gluten-free diet can affect your blood sugar management, potentially negatively impacting your diabetes. The good news is, though, that learning to manage both conditions through your diet can have an outsized effect on your health... one that should outweigh the difficulty of balancing your challenging dietary restrictions. But there's no doubt that juggling the two diets at the same time is a challenge. If you're newly diagnosed with celiac disease, expect the unexpected from your blood sugar levels. Celiac disease damages your small intestine, which means your body doesn't absorb some of the food you eat. As you start the gluten-free diet and your small intestine begins to heal, you'll start to absorb nutrients again. This is obviously a good thing, but it can play havoc with your blood sugar in the short term as more of the sugars and starches you eat wind up in your blood stream. Rest assured: This will settle down eventually. In the meantime, pay closer-than-normal attention to your blood sugar levels. You may need to take more insulin as your small intestine heals, and your diabetes test results may get worse (but hopefully just temporarily). This is another side effect of your improved ability to absorb nutrients from the foods you eat. At least one study has found that levels of the key diabetes blood test hemoglobin A1c rise when diabetic children find out they have celiac disease and start the gluten-free diet. Because you're actually absorbing more calories, you may also gain weight and possibly see your cholesterol levels rise. As you learn how to manage your new gluten-free-diabetic diet, you'll see how best to keep your weight, cholesterol and blood sugar under control, which will lead to improved diabetes test results. Gluten-free food has different carbohydrate/fat/protein ratios than "regular" foods, and your body will react to it differently. Even though calorie counts are similar between gluten-y and gluten-free products, gluten-free baked goods tend to be higher in carbs—and especially in simple carbs and sugars—than conventional foods. That's because manufacturers often add sweeteners to make up for the missing gluten. To combat this problem, you'll do better to look for lower-carb gluten-free products. Baking with different gluten-free flours can be intimidating, but you can try almond flour or bean flours (just make sure they're labeled "gluten-free"). You'll almost certainly need to boost your fiber intake. Although gluten-free manufacturers are starting to make an effort to include whole grains in their products, gluten-free bread , and other baked goods are notoriously low in fiber. Therefore, you'll really need to work to get enough fiber in your diet. Options include looking to gluten-free whole foods as fiber sources and considering a gluten-free fiber supplement. Always pack a gluten-free snack in case your blood sugar drops. Sadly, once you go gluten-free, your days of picking up snacks on the go are mostly over. While it's easier these days to find gluten-free foods at fast food restaurants and convenience stores, gluten-free isn't quite mainstream enough to count on options when you need them. And when your blood sugar drops, you're more likely to make a mistake and accidentally eat something with gluten. So bring a snack to eat — a gluten-free-labeled energy bar, some nuts or something else safe. Eating gluten-free and effectively managing your diabetes through diet probably seems like a daunting task. But it's one that can pay dividends for your health in the years to come. One last tip: If you do have both diabetes and celiac disease or non-celiac gluten sensitivity, it likely will help you quite a lot to meet with a dietitian with expertise in both diets. That dietitian can assist you in meal planning and in getting your nutrient ratios into balance. Simell S et al. Age at Development of Type 1 Diabetes and Celiac Disease-Associated Antibodies and Clinical Disease in Genetically Susceptible Children Observed from Birth. Diabetes Care. 2010 Jan 7. Mohn A et al. Celiac disease in children and adolescents with type I diabetes: importance of hypoglycemia. Journal of Pediatric Gastroenterology and Nutrition. 32:37–40, 2001. Sun S et al. The effect of biopsy-positive silent coeliac disease and treatment with a gluten-free diet on growth and glycaemic control in children with Type 1 diabetes. Diabetes Medicine. 2009 Dec;26(12):1250-4. Maggie Moon, MS, RD. 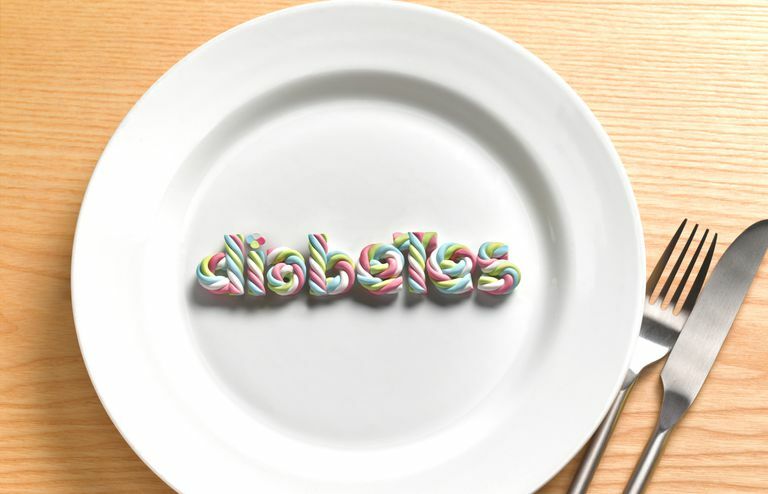 Double Trouble — Counseling Clients With Diabetes and Celiac Disease. Today’s Dietitian. 2009;11:32. Kupper C, Higgins LA. Combining diabetes and gluten-free dietary management guidelines. Practical Gastroenterology. 2007;31(3):68-83. Can You Ever Have Malt If You're Gluten-Sensitive?